Minimally invasive coronary bypass surgery is performed on people who have been diagnosed with coronary artery disease. This type of surgery is an advanced surgical technique which has changed the way experts cure coronary artery diseases. The best thing about minimally invasive heart surgery is that the technique works not only on the young but also infants and aged equally well. The worst thing about the most heart-related problem that we see around is that they do not get treated on time. Even if people notice symptoms, they wait for too long to visit the cardiologist, and for the longest period of time are in a denial mode. In the initial stages, they experience things like a mild, coming and going of chest pain, shortness of breath, feeling a bit too weak at times etc. Sometimes these symptoms appear one after the other, sometimes they show up simultaneously, more than a few times and yet the patient does not take notice or is not bothered. The result is that the situation deteriorates without anything being done about it. This is when things begin to get worse one fine day, without announcing, the patient gets a heart attack and then starts a series of tests which show that the heart is much weaker than expected and a string of associated problems. Researchers and medical practitioners claim that more than fifty percent of these cases can be avoided with timely diagnoses of the problem. But the fact is that it does not happen in real life. Much has been written, people are being educated about it, things are being done to improve the awareness about symptoms and seeking timely help, but it helps little. Patient reaches an unfortunate state all because of his careless attitude where instead of oral medicine and re-organizing his lifestyle a bit he is a bundle of nerves trying to decide between traditional cardiac surgery and advanced techniques like the minimally invasive coronary bypass surgery and many such other options. Minimally invasive coronary bypass surgery can be avoided if the right steps are taken at the right time. We are listing down some heart care tips recommended by the best cardiologist in hyderabad, India, a city that is increasingly being viewed as a medical hub of India where the most complicated and complex cases of the heart are being dealt with. Even if readers follow half of what is listed down to keep their hearts healthy, it will do them a great deal of good and keep them at the top of their health. 35. Eat less dairy products like milk, ice-cream, cheese, butter etc. 44. Cook veggies and eat leafy in raw form in salads etc. 46. Eat fiber-rich food, beans etc. Minimally invasive coronary bypass surgery is a type of heart bypass (coronary artery bypass grafting or CABG) technique that is performed by experts and specialists in this particular type of surgery. This type of heart surgery involves doing a small incision with help of a set of specialized surgical instruments with help of which an incision is made on the left or right side of the chest wall measuring about 2 to 4 inches instead of a traditional 8-10 inches sternotomy incision done in the breastbone, generally associated with traditional or the more common type of heart surgery. Minimally invasive cardiac surgery is a new and advanced technique which has been introduced after years of research and best brains working on it. It has been found to be as effective, and safe as the traditional heart surgery in which you cut open the chest and leads to equally good and sometimes even better outcome for the patient suffering from blocked arteries in the heart. As the cut measures less and even the number of cuts is fewer, it causes less pain and chances of blood loss are also reduced considerably. Since cuts are fewer as a natural progression the healing time this type of technique takes is also less which leads to fewer days of day in the hospital; patients and their near and dear ones will agree that since one will be discharged from hospital in less time, all the cost related to hospital stay can be saved and the patient also who comes home early, and gets away from hospital environment, feels better and recovers faster. When it comes to traditional open heart surgery, the recovery and recuperating time are anywhere between 6-8 weeks depending on the condition and age of patient whereas in this new technique one begins to feel better and tries to get on his/her feet within 2-4 weeks. As we say this, we are not at all trying to exaggerate anything. This new technique involves making a three- to four-inch incision between the ribs to correct the eh problem, unlike the traditional heart surgery where a number of incisions are higher. Few incisions mean a lower risk of infection, less healing time, etc. Albeit when it comes to post-surgery care, the same amount of care is given to the patient. Minimally invasive coronary bypass surgery is a technique where no bone is cut. The chest is entered from between the ribs to solve the problem. While many things about this technique differ, many things also remain the same. Surgery is performed using a combination of arteries and veins that have been removed from the leg. The vessel from the leg is also removed using endoscopic, an advanced technique wherein no cutting of the skin over the leg takes place. To perform this operation, very sophisticated and advanced instrumentation, expert specialists (surgeon) and techniques are put to work to get the best results which are not only safe but also helps the person to recover and get back to life at the earliest. Heart problem is also very complicated and can be of many types. It is only the expert who can diagnose the problem after examining the patient, checking various symptoms, and finally performing various tests. One such complication is when the mitral valve is damaged. This valve conducts blood flow through the left side of the heart. When this valve for various reasons gets damaged, it calls for a special surgery called the minimally invasive mitral valve repair. The problem begins when the mitral valve causes the blood from the left ventricle to leak back towards the lungs. This can happen for a wide range of reasons including congenital malformation; it is trauma in some cases, that causes this damage, other things that we can attribute to damaged valve include infection, heart failure etc. The doctor checks the extent of the damage or severity of the leakage and chalks out the procedure to restore the situation. If not treated immediately or at the earliest, this situation can prove to be fatal, leading to progressive lung congestion and heart failure. Experts pay attention to symptoms as specific as frequently experiencing breathlessness; one feels fatigued and tired as soon as one has begun to exercise, in other words, physical endurance drops, and some patients also report of extreme swelling. Mitral valve damage if diagnosed in the early stages can be treated with medicines but for advanced or extreme cases the best and most effective option is surgery. There are two options depending on the condition, either to repair the valve or replace the damaged valve with a prosthetic valve. Coming back to our core topic of discussion is highly sophisticated surgery technique that is performed using highly sophisticated technology, which is now available in India too. This technique enables our expert surgeon to perform the procedure remotely, with help of small specially made, surgical instruments. The surgeon can monitor every move right up on a video screen before him; as real-time images are aired on to the screen with the help of a small digital camera that has been inserted into the body through the side of the chest in a way and fixed at an angle that can generate pictures in the dimension required to get the best view and get the best job done. It is very clear that this type of surgery is very different from the traditional heart valve replacement surgery. In a majority of cases, this type of valve replacement is an open-heart operation wherein the surgeon opens patient's chest and heart to remove the damaged valve; fixes or replaces it with the new artificial (prosthetic) valve. According to a modern procedure that has successfully made its way into our country, the surgeons are successfully able to replace the valve without cutting open the chest. The new procedure is thus named the minimally invasive surgery. Because while performing this type of surgery there is the least invasion happening, leading to least blood loss, least complication and so on. In the valve replacement procedure, the damaged valve is replaced by making a small incision close to the "breastbone" or under the right chest muscle. Much like the traditional surgery, minimally invasive surgery is also a complex procedure that is performed by highly professional and expert surgeons, albeit without the use of a heart-lung machine. This new technique also results in the better cosmetic outcome as scars are fewer. Also because of fewer wounds, post-surgery recovery time is less and as mentioned elsewhere in the post, recuperating time is also less for the patient. The patient gets discharged from the hospital faster and also needs fewer weeks to recover and rest at home and go back to lead a normal life. Minimally invasive coronary bypass surgery is now available in India too. You can find some of the best cardiac surgeon in Hyderabad having performed many successful surgeries for people of all ages for patients from all parts of the world. Not only can this, for those looking for pediatric cardiologists, find the best pediatric cardiologist in Hyderabad. Until a decade or two ago to find a good pediatric heart surgeon was a do-or-die situation and those who could afford would shift base to a country with better medical facilities for children, which is not the case anymore. Now you can find the best of surgeons and specialists even for the rarest or rare and most complex heart-related complications and ailment. It is not only reachable but also affordable to find a good heart hospital now. Hyderabad's location is perfect for making it easy to reach the destination, is well connected by road, train, and air. Little doubt that the city is emerging not just as an IT hub but also as a high-tech medical hub with some of the most advanced hospitals, hi-tech machines, world class professionalism, to say the least. Not to mention some of the best brains too. They are sharp with their analyses and diagnoses and their experience shows in their success. The city happens to be cost effective. It is not more just Indians looking towards Hyderabad; people from various corners of the world are coming to Hyderabad, India to get treated for their heart ailments. They not only return fit but also carry a good impression of our healthcare industry. They know we have state-of-the-art medical machines and equipment and world-class surgeons and their teams attending to patients in the most professional and organized manner. Our heart hospitals in Hyderabad are equipped with a highly trained support staff along with machinery who work and function at par with the best heart hospitals in the world. Minimally invasive coronary bypass surgery is thus a possible option for those looking for world-class medical facility anywhere in India. It is the most modern and advanced surgical technique that has come to India and has enjoyed immense success. Not only for Indians but from people from across the world have come to Hyderabad for heart treatment and have returned fit. People are finding India an extremely affordable and highly competent medical destination. Not just the adults, even kids are getting treated using this new technique, even newborn who face heart issues at birth. You can just come down to Hyderabad to meet a heart specialist or an expert. Amongst the many specialty hospitals here, you can find the best cardiologist in Hyderabad, very much in the city! These doctors are super experienced, have been exposed to the best in the professional circuit internationally, are in touch with the new and advancements happening in the field of heart health, get trained and attend seminars and workshops to upgrade their skills and knowledge to be able to offer the best to patients. Above all, they are well qualified to be where they are. Their years of experience have made them super sharp, their analyses are accurate. Having said all this, it must be mentioned here that they haven't lost the compassion to deal with every patient as a life. Before anyone comes to Hyderabad for fixing their heart-related problem, we always emphasize that they should take an appointment before coming. Make it a point to take a prior appointment so that when you arrive in the city, things are planned out for you and you don't waste time waiting endlessly in queues for hours waiting for your turn. If you have an appointment you can come at the precise time and will be attended to by the team. Heart ailment anyway stresses you out and waiting or feeling lost in a new city, a new environment can really add to the injury so we always suggest people take an appointment instead of just blindly rushing. Anxiety solves nothing, just weakens your heart a little bit more. It's the last thing you need. Minimally invasive coronary bypass surgery is an unfortunate, unwelcome situation in an anybody's life but when life throws you, you have no choice but to face it for one's own self or the near and dear one. The best way to deal with it is to not deny it, not avoid it. But face it and fight it with all the strength and wisdom you have. And come to think of it, you have little to worry about as you are in safe hands. For those looking for the cardiologist have little to worry about. Hyderabad is home to some of the best heart professionals in Interventional cardiology field. An interventional cardiologist is a doctor who has earned higher and special qualifications; is qualified and trained to diagnose and treat cardiovascular disease along with congenital heart conditions; conditions that are present in infants from birth; and structural heart conditions. 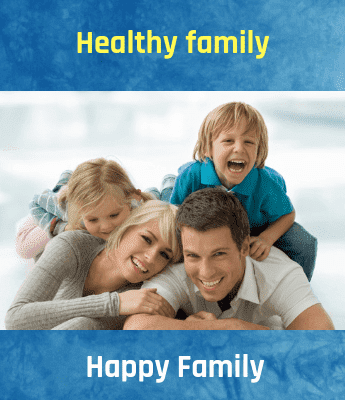 People of all ages, old, young, kids or even newborn can get the best medical attention and treatment for any kind of heart-related problem, whether it is at the initial stage or advanced, whether it is the kid in question or a 34 year old young. 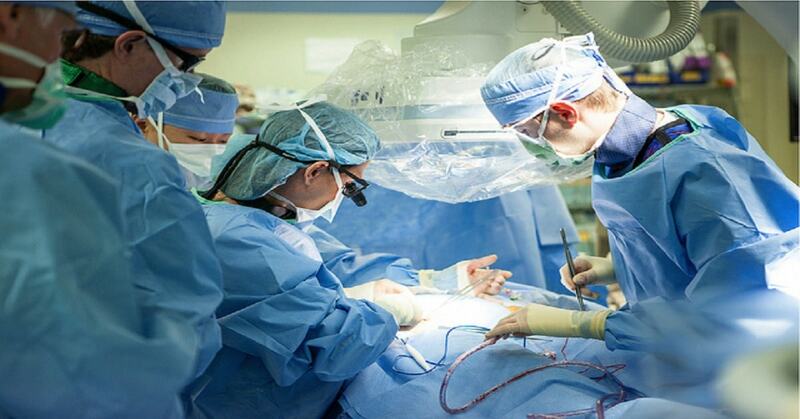 Many heart hospitals offer hope to everyone with Minimally Invasive Coronary Bypass Surgery. Even cases where patients who were in the advanced stage of heart-related issues and had multiple health complications have returned home with good news. It is a huge feat for our country that a city like Hyderabad has toiled for it and is excelling and flourishing as a medical destination. With every success, a new story gets written. A new ray of hope spreads for people battling with heart conditions!
" we would greatly appreciate it if you kindly give me some feedback on this article"